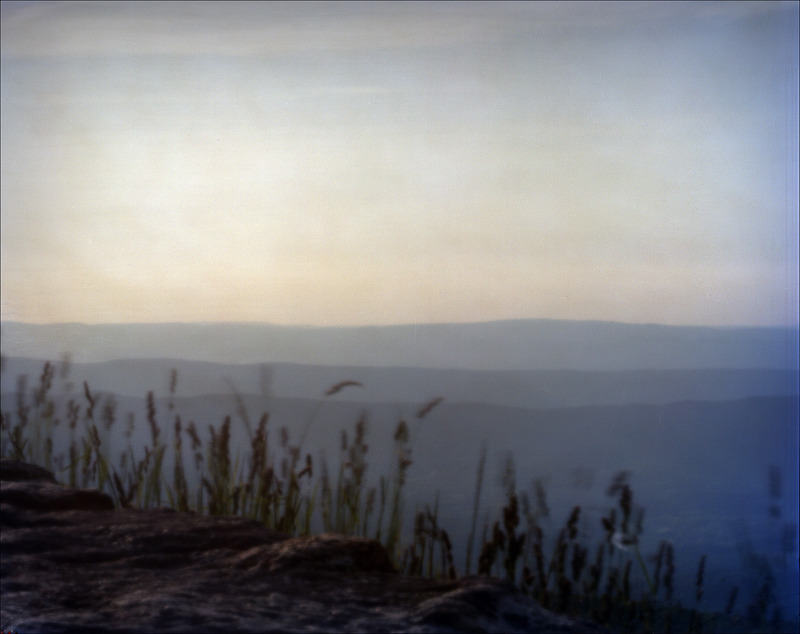 The Shenandoah Valley played and enormous role throughout the American Civil War. 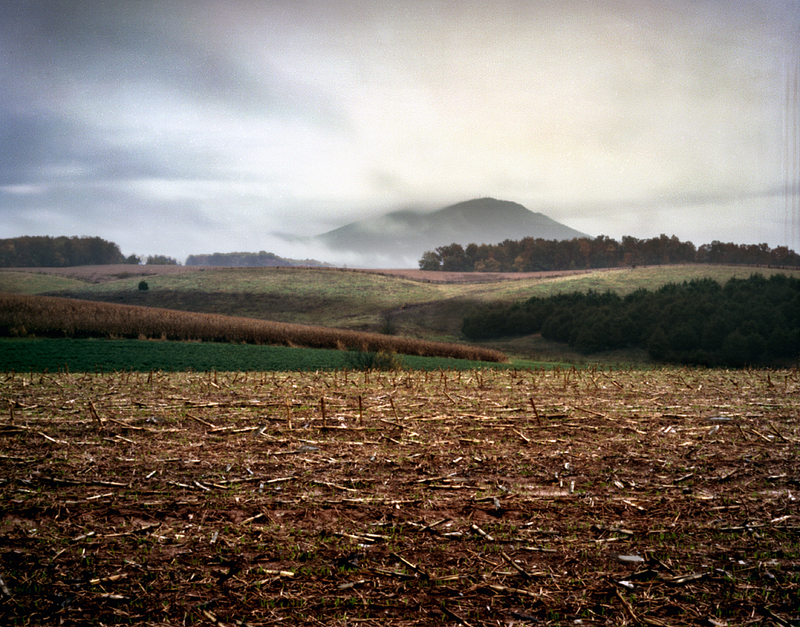 Hemmed in by the Blue Ridge and Appalachian Mountains, the valley served as a major grain supplier of the Confederacy , as the fertile valley still serves local farmers today. The old Indian trail through the valley- surveyed in the 18th century by a young George Washington-was then the Valley Pike, and is now modern Interstate 81. Today, as then, the roadway links the Shenandoah towns of Winchester, Strasburg, New Market, Harrisonburg and eventually Lexington, Virginia. Lexington was and is still the home to the Virginia Military Institute. VMI is where Thomas “Stonewall” Jackson was teaching artillery tactics to young southern americans when the war broke out in 1861. Through the spring of 1862 Federal troops began moving into the Shenandoah Valley looking to rout General Jackson’s rebels. In a series of lightning maneuvers Jackson’s troops managed to thwart Union plans in the Valley. After an initial set back at Kernstown in March 1862, in clash after clash, General Jackson took advantage of the various mountain gaps and his innate knowledge of the terrain and topography of the region to evade and then draw his foe to battle. The fighting at Front Royal, McDowell, Winchester, Cross Keys, and Port Republic led to Union defeats and Jackson’s control of the Shenandoah Valley in 1862. The Valley Campaign in the spring of 1862 would make Jackson famous and him one of the War’s greatest generals. Crossing the Potomac River at Williamsport begins our trip up the Valley. First stop: Winchester, Virginia. Winchester has the distinction of being the town that changed hands more times than any other- twenty seven times! -during the War. The town retains much of it’s 19th century charm with the main street, the old valley pike, lined with old 17th, 18th and 19th century homes and businesses. I moved onto some newly preserved civil war battlefield space, outside Winchester, in Kernstown, Va. 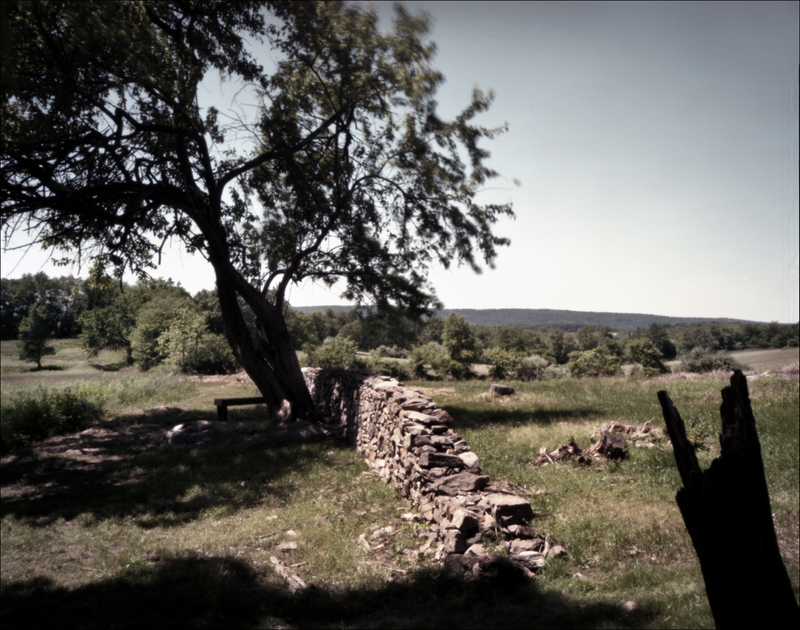 I saw an old crumbling stone wall at Rose Hill, the scene of Jackson’s early Valley Campaign defeat. Moved on to Strasburg, Va and stopped at the old Southern Railway Junction. I continued on through Front Royal and stopped to photograph the Shenandoah River. 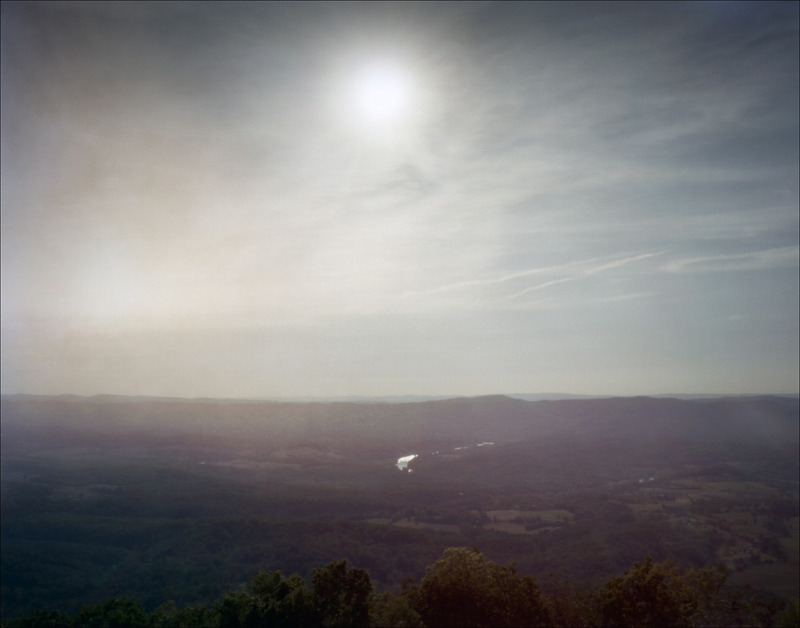 From there the Shenandoah Drive takes you on a scenic route through the Ridge and Valley Appalachians and features incredible views of the Virginia Piedmont and Shenandoah Valley. Stopping at Signal Knob I enjoyed standing on a commanding vantage point used by both army’s Signal Corps during the War. When history talks of the inherent beauty of the Shenandoah Valley, its made manifest here and other vantage points along the Shenandoah Drive. I encountered a traffic jam: two cars, as the drivers sat idling, photographing two bears on the side of the road. The Drive will take you along and pass the various natural gaps along the mountain chain. These gaps have served humans since prehistory, providing easier east/west access routes through these mountains. 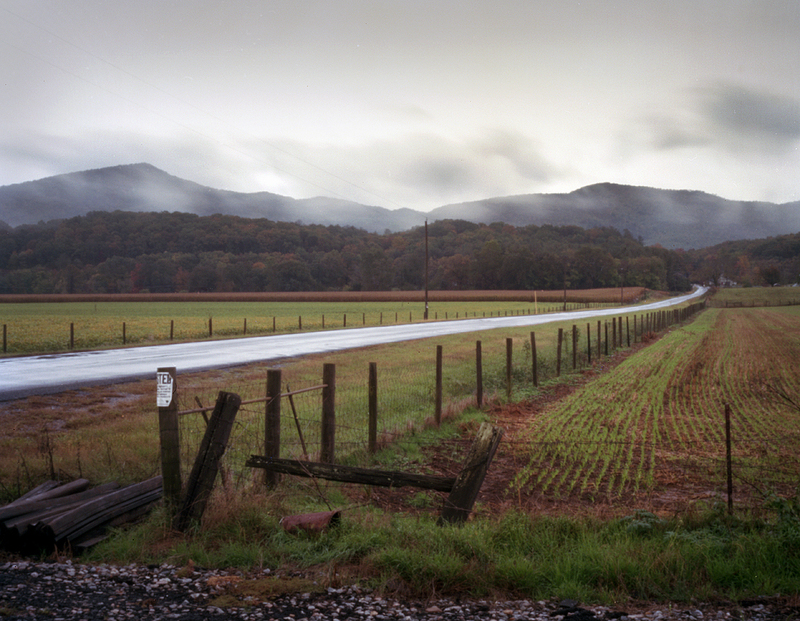 Pass through the Luray Gap, scene of fighting during the War, on my way to New Market Virginia. 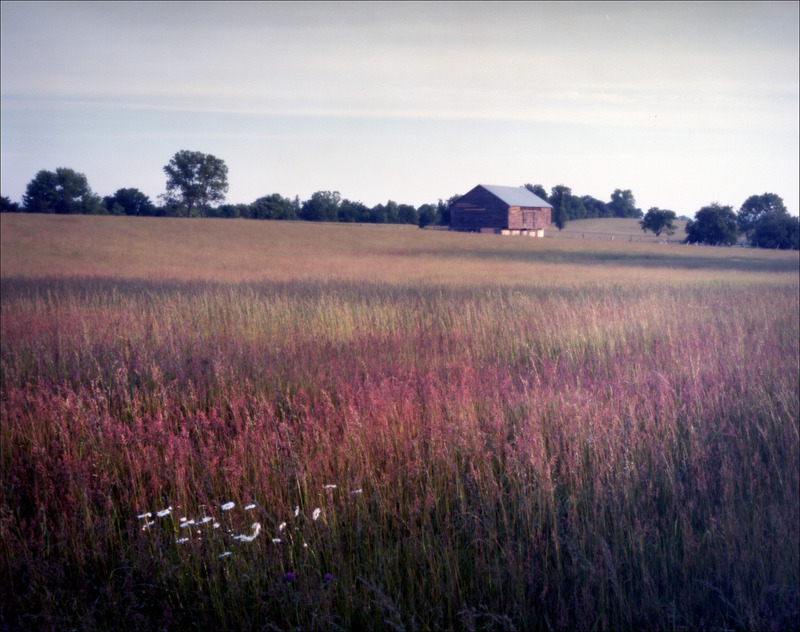 Photographed an old barn in the gap. 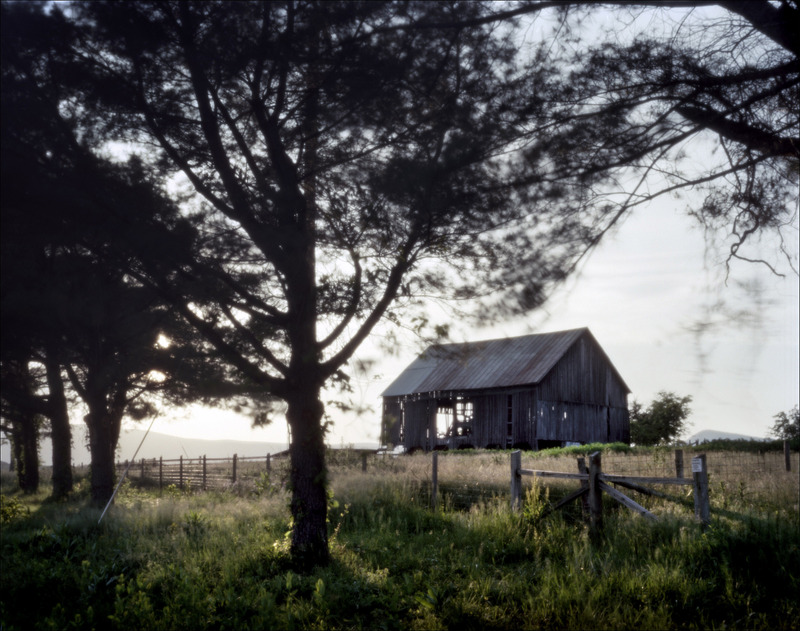 There was a huge ripped, jagged hole in the barn, it looked as if it had been blasted by artillery rounds…..of course unlikely in 2012, but standing in the Shenandoah Valley as the sun began to backlight the landscape, this is what was going through my head – the past is present……? 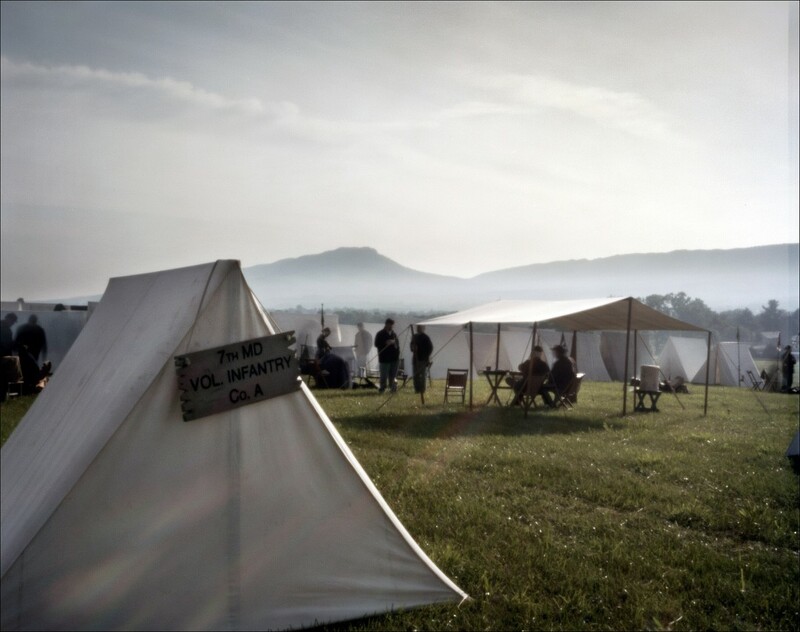 Arriving at the town of New Market, Va, I headed to Camp Headquarters to register for the reenactment. 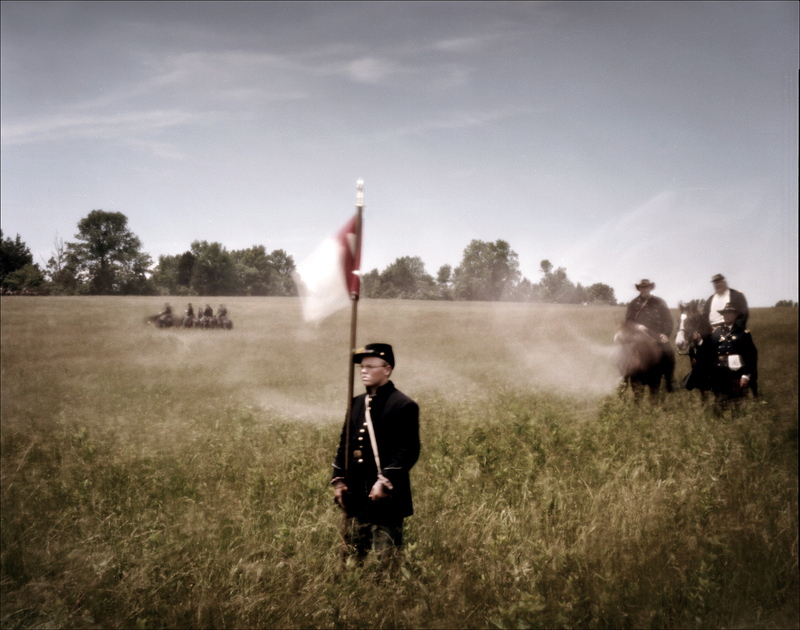 This would happen on the actual Battlefield at New Market, one of the few Civil War battlefields in private ownership. I came to New Market prepared (I hoped) to make the impression of a 19th century photographer. This being my first reenactment as a player, I was just beginning to find my way through this dedicated subculture. Trying to explain the Pinhole Project (and its requirements) to event organizers in advance, I got immediate push back. 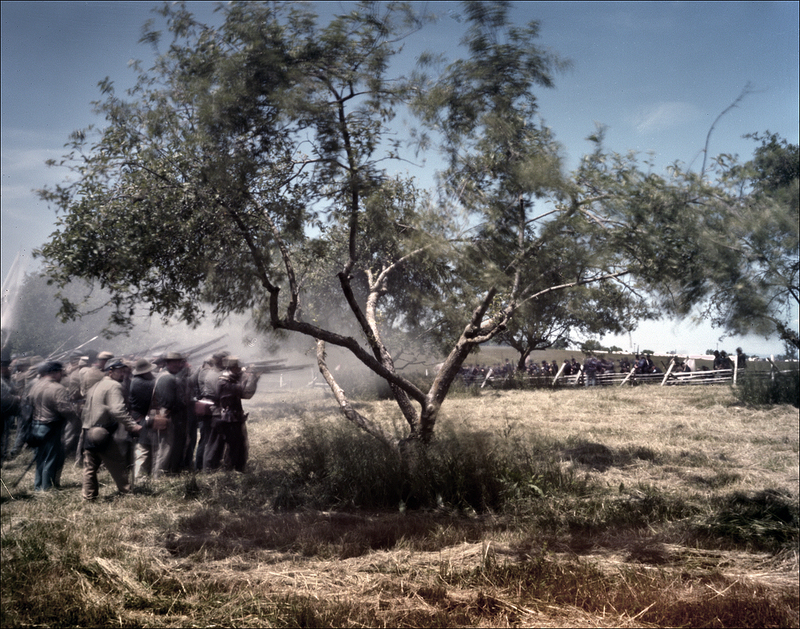 It seems photographers are constantly trying to gain access to the “battlefields” during these reenactments. The pinhole photos of Shiloh and showing them the pinhole camera helped a bit, but there would be no promises. When I arrived I met with Ron Paul, a local Viet Nam vet, longtime re-enactor and event organizer who generously began to show me the ropes when it came to battlefield access and reenactments. After hearing my desires to photograph the reenactment from the “soldiers perspective”, Ron explained it would be good if I could join a particular military unit during the reenactment and follow them into battle. I would be attached, imbedded, as they say. 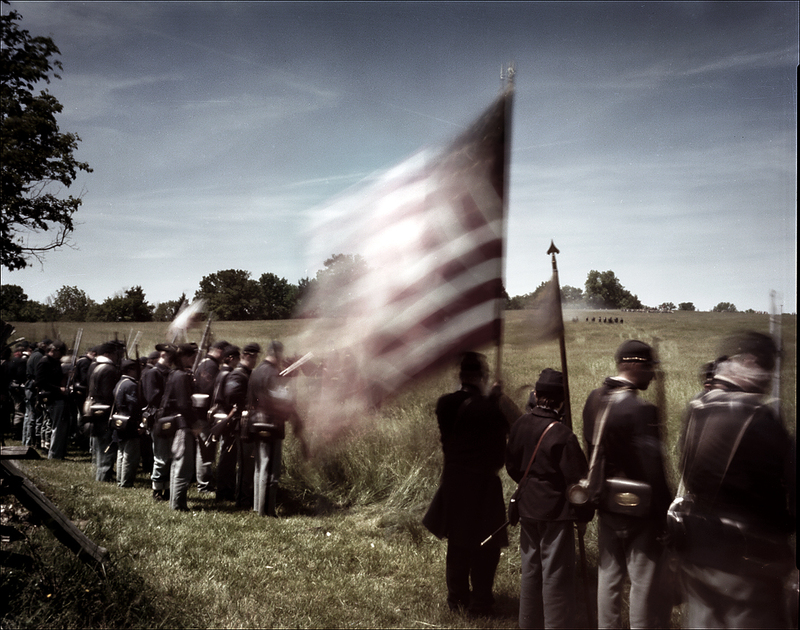 Ron introduced me to the 1st Federal Head Quarters Staff, officers who eventually granted me access to the coming “Battle at New Market” and my first foray being a re-enactor and visualizing the “soldiers perspective” for the Civil War 150 Pinhole Project. Being in and photographing the reenactment with the pinhole cameras, in period attire, was both fascinating and surprising. Finding the right distance to work from the subjects during the action was challenging. The skirmishes and fights, constant moving, pausing, seemingly at will, gave your Photographer an endless series of tactical decisions, not unlike the soldiers themselves, over a century before. However, the freedom of appearing in period clothing gave me access, and after my experience as a spectator at Shiloh, it was liberating. My 19th century impression was somewhat lacking, according to a few participants. I, not knowing the first thing about this world, took note, and proceeded to the Sutler village there at the camp to picked up a new straw hat. I wanted to expand my “look” as a 19th century photographer, so I had combed the web in search of period clothing and whatever else was available to help blend in. I wasn’t sure if I enjoyed the dress up part but I knew I needed to assume period garb, that I may disappear, in a sense, to the other re-enactors. 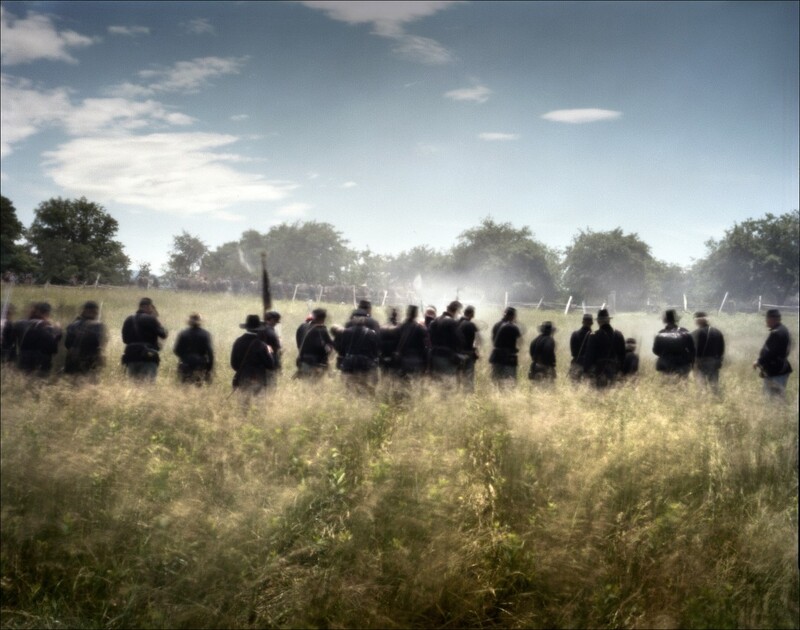 The reenactment on the 148th anniversary of the Battle of New Market, demonstrates a battle that took place in May of 1864. The images taken here would serve to illustrate the Project’s “battle” images for the 1862 Valley Campaign when combined with the additional battlefield and landscape images of the Shenandoah Valley that would be taken on this trip. This New Market reenactment was an eye opener – the 150th at New Market in 2014, I suspect will draw huge numbers- and it secured my participation for this future event. 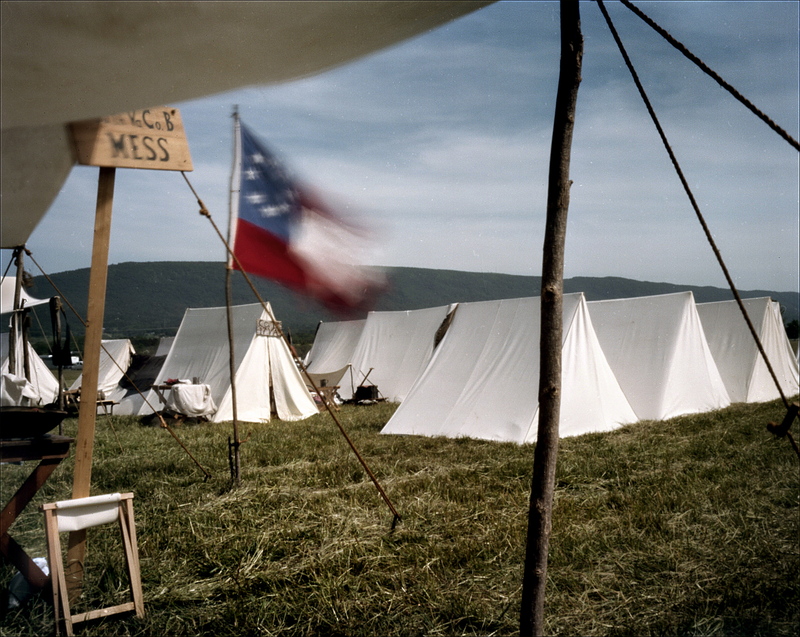 This first trip to the Shenandoah Valley for the Project has taught me a bunch about how to approach future reenactments, how to navigate the different command structures and event coordinators and that, for the sake of my fellow re-enactors, perfect my impression as a 19th century photographer. This trip also wetted my appetite for the Shenandoah Valley. 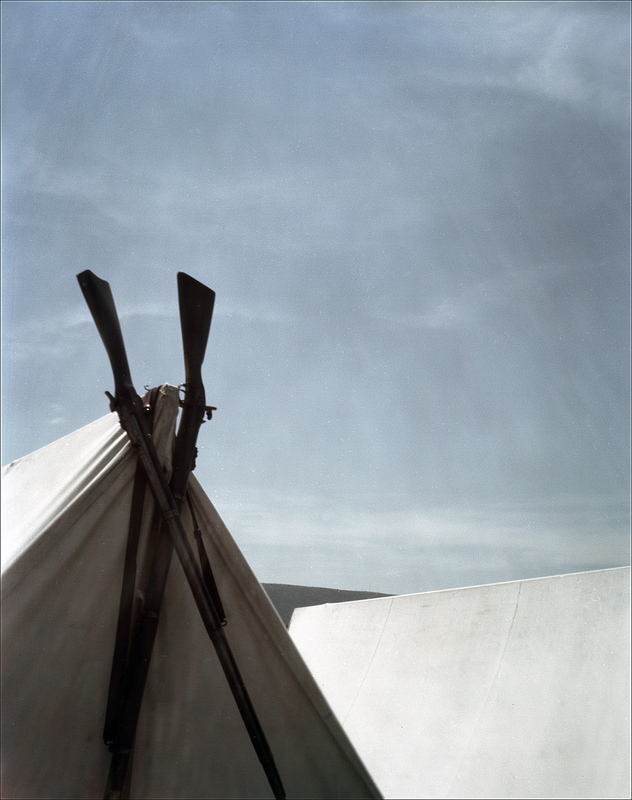 I will return to this region in 2014 for further explorations and to chronicle the continued fighting in the Valley throughout the War. My next stop in the War’s timeline will be Richmond Virginia and the Seven Days Battlefields. 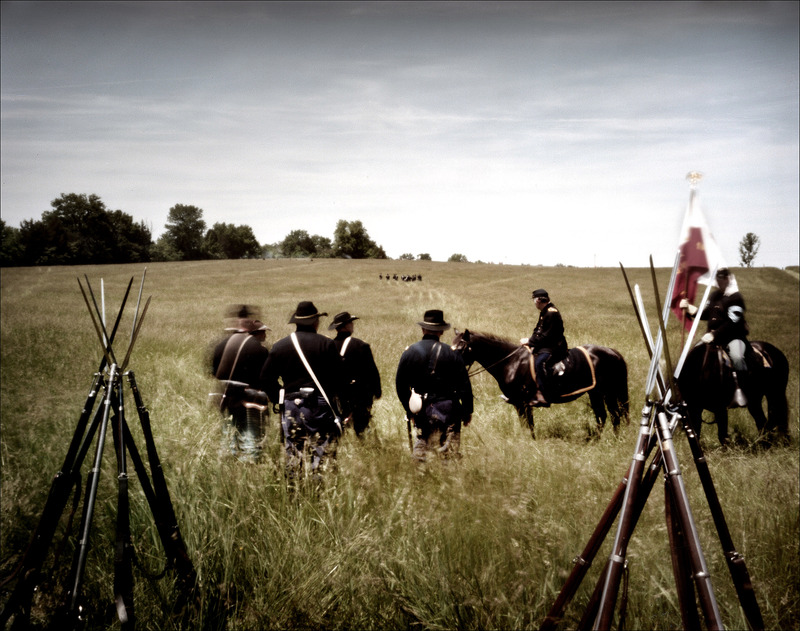 This trip in June of 2012 will culminate in a Seven Days Battles reenactment, “Lee Takes Command”, in Elizabethtown Pa.